According to the Center for Disease Control (CDC), washing hands is the single most important act to help stop the spread of disease and stay healthy. That’s because, 80% of all infections may be transmitted through our hands. In an interview today about an inevitable influx of swine cases this fall, Homeland Security Secretary Janet Napolitano said that, the best thing we can all do are the very simple things, the washing of the hands, the coughing into the sleeve. With flu scares increasing and kids heading back to school, the greatest way to fight disease is to go back to basics. An ancient remedy for fighting disease, oregano oil is a naturally powerful antiviral, antibacterial, antifungal, and antiparasitic and has been proven to break down super bugs. In 2004, Georgetown University released a report that it destroys antibiotic-resistant super germs such as the MRSA virus, which kills at least 12,000/year, mostly hospital staff. Do what nurses do and find a soap that uses oregano oil, such as LUSH Cosmetics new 13 Soap Unlucky for Dirt, for its natural, helpful properties. Bar soap is more hygienic than liquid because it does not contain water, which is a breeding ground for bacteria. Bar soap naturally fights off bacteria as opposed to liquid soap that has to be contained in environmentally damaging plastic bottles. The act of washing hands is essential because according to the CDC, an estimated 40 million adults get sick from germs transmitted on dirty hands (yuck!). It is vital to washhands for at least 20 seconds (sing Happy Birthday twice), but it is just as important to use a bar of soap. 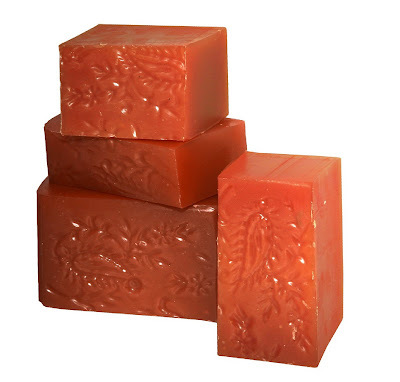 A bar of soap physically removes bacteria and other germs off skin and hands. If you follow these basic tips and the others lectured by your mother, such as â€œKeep your hands out of your mouth, Stop rubbing your eyesâ and Don’t touch that you should be safe and healthy this cold and flu season.